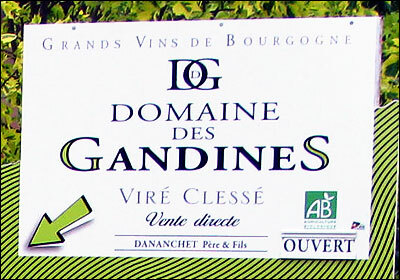 Domaine des Gandines was founded by Joseph Dananchet at the beginning of the 20th century. At the time, it was a poly-cultural farm like most others in the area with cows, pigs, sheep, wheat and a couple of hectares of vines. Half a century later, Joseph's son Marc planted another hectare and a half of vines. Marc's son Robert began working at the domaine in 1979. By the end of the 20th century, Robert had planted three more hectares of vines. Of more significance, however, is that Robert began to bottle and sell his wine around France and abroad. ​In 2003, Robert's son Benjamin — the 4th Dananchet generation — joined forces with his dad. 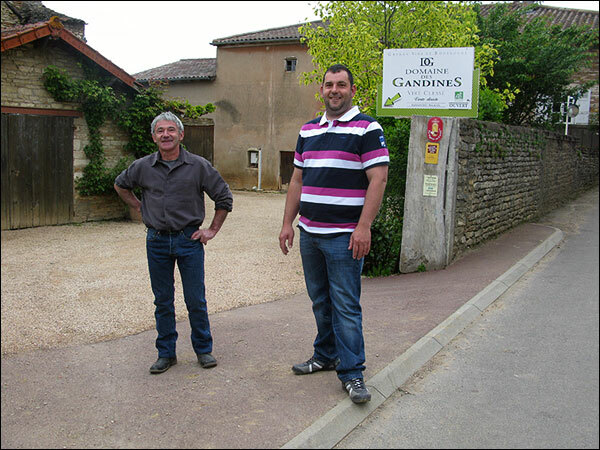 Father and son enlarged the vineyards to 10 1/2 hectares while converting to organic viticulture. Most recently, they have begun working biodynamically. Soon Benjamin's brother Florent will join this family team. Perrone is a small commune located north of Clessé on the way to Viré. The Dananchets have 1.6 hectares of vines here with an average age of 40 years. The soil in Perrone is not that different to that of Clessé (clay and limestone), but the climate is slightly cooler, which helps give a bright and fresh wine. The wine is fermented and aged for 6 months on its fine lees. It goes through malolactic fermentation and is lightly filtered. 8,000 bottles are produced. There is only one bottling of this wine per year. Various parcels are spread around Clessé totaling 6.62 hectares. The average age of the vines is 50-years-old. The soils here are a bit deeper and more mineraled than Perrone, giving a wine that is fuller-bodied and richer. These wines are fermented and aged in foudre for 12 to 18 months and go through malolactic fermentation. Depending upon the year and length of aging, these wines may or may not be filtered. The Viré-Clessé is bottled two or three times during the year. Soils are an important focus of the Dananchets' methodology for the enhancing the vine's nutrition. The family uses no herbicides on the ground. This practice allows beneficial mushrooms to develop that transform organic material into humus, whose mineral content is directly absorbed by the vines. By plowing the soil, air is given to microorganisms while eliminating the grass without weed killers. Vines are planted tightly at 8,000 vines per hectare. Getting rid of the grass naturally allows the vines to receive all the nutritional benefits without unnecessary competition. The Dananchets stopped using any kind of synthetic spray in 2005, opting to treat their vines with only copper and sulfur. The vines were certified organic in 2009. 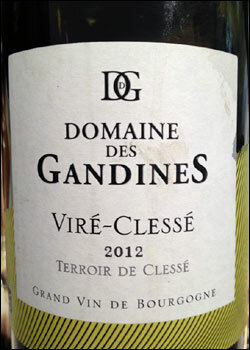 Domaine des Gandines is in the process of converting to biodynamic viticulture. This encourages the plants to become stronger and develop a certain immunity to various diseases. They are also encouraged by the higher natural acidities of the vines when working with Rudolph Steiner's practices. No sort of green harvest is carried out. Approximate yields can be determined during winter pruning and the Chardonnay usually has no maturity problems. In order to preserve the integrity of the grapes and avoid oxidation, all grapes are harvested by hand. The Dananchets favor this method because it avoids damage to the rootstocks, wires, and pegs, and also prevents unnecessary compacting of the soil. Yields for all of The Dananchets' white wines average 45 hectoliters/hectare. The white wines are not destemmed as they help the juice flow in the press. There is no cold soak with the whites. They are pressed directly after being picked, which also enhances the fermenting capacities of their natural yeasts. A small amount of sulfur is added at bottling time so that the wine contains 20-30 mg per liter of free sulfur.